What the Hell is it That Makes a Beer a Craft Beer? When sitting around with my friends, chewing the fat over a few pints, inevitably the topic of craft beer comes up. We all pontificate at length about which craft beers we like, which craft beers we don't like, what breweries are producing the best craft beers and where the best places to drink craft beer are, but one topic is usually avoided like the plague, that being, what exactly makes a beer a craft beer. yet considered a "craft brewery"
It is a question that, on first blush, seems simple and should be fairly easy to answer. Surely somewhere, someone has created a definition or laid out criteria that helps us understand which beers are craft beers and which are not. People are quick to categorize beers, labelling them as "mainstream", "mass-produced", "domestic", "specialty", "premium" and "craft", to mention a few categories I have used and heard and often these labels carry positive and negative connotations. For example the categories of mainstream, mass-produced and domestic beers often carry negative connotations and are thought to be drank only by lager louts and those with little or no discerning tastes while premium, locally produced and craft beers are considered by many to be superior products and drank by connoisseurs and beer aficionados. But often the lines that define these categories are blurry and overlap making it difficult pigeonhole a beer into one specific category. And because of this blurring of the lines, I find that is almost impossible to figure out what categories of beer are going to produce great beers and which are not. Take Sierra Nevada Brewery for example, which, according to CNN.com, is the second-ranked craft brewery in the USA, but which is also ranked as the sixth largest brewery in regards to production by Beer Info. 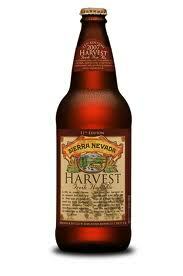 So, at first glance, according to being ranked as the sixth largest beer producer in the USA, Sierra Nevada appears to be a mainstream brewery that mass-produces beers, yet the beers they produce are considered to be among the best craft beers available in North America. Martin Williams, Vice Presient of the Vancouver chapter of CAMRA (Campaign for Real Ale), states he still considers Sierra Nevada a craft brewery "because of their dedication to traditional ingredient quality" and their practice of not compromising taste and quality by using such ingredients as corn syrup and has no problem with Sierra Nevada being a highly thought of craft brewery despite them being a very large brewery as well. Lets look locally at Granville Island Brewery, considered a craft brewery, yet many of their beers, such as their lager, honey lager and pale ale, are middle-of-the-road and, in my opinion, if not mainstream, then just one step above mainstream beers and should not be considered craft beers. Having said that, their is no doubt their Brew Master, Verne Lambourne, is a craft brewer and produces some excellent seasonal craft beers, which are limited releases, such as the pumpkin ale, which was available around Halloween and their winter ale, now on tap around the city. But I have rambled off the point somewhat, so lets get back to my original question: what the Hell is it that makes a beer a craft beer? I posed this question to a few people whose knowledge about beer I respect and not surprisingly the answers were varied. To add some more mud to the all-ready cloudy waters, I also asked if mainstream breweries that produce large volumes of beer can produce craft beer. Lets begin first with The Brewers Association of America (BAA) which has attempted to define what makes a beer a craft beer. According to their web site, "the hallmark of craft beer and craft brewers is innovation." They further stipulated that craft beer often combines "traditional ingredients like malted barley; interesting and sometimes non-traditional ingredients are often added for distinctiveness" that enable craft brewers to "interpret historic styles with unique twists and develop new styles that have no precedent". So, at least according to the BAA, craft beer should use both traditional and non-traditional ingredients and be creative interpretations of historic styles of beer, which through innovation and daring, create new styles and tastes for those brave enough to venture into the unknown with the brewer. Fellow beer blogger, Bier Festen, states he believes "craft beer is a beer that helps transform knowledge of beers to another level". This supports the BAA's opinion that craft beers should be innovative and creative and that craft brewers should push the envelope in creating new tastes and styles of beers. Beer Festen also supports that mainstream breweries can produce craft beer, using Okanagan Springs and their Reserve Porter, which he classifies as a craft beer produced "by a big production brewery" and a product that gets overlooked because it has been put out by Okanagan Springs. Anthony Frustagli, co-owner of St Augustine's, where you will find 40 taps of "craft beers" on offer, believes that ingredients are the key to defining craft beer and "loosely defines (craft beer) as any beer whose very ingredient is used to enhance flavor and not lighten flavor". So again, no precise definition but an emphasis on quality ingredients added with the purpose of flavor and distinctiveness. Anthony adds that he does not consider a brewery a craft brewery if they make decisions solely based on accountants needs rather than the brewer's needs. He also supports the idea that bigger production breweries can produce craft beers, using Surrey's Russell Brewing and their Brewmaster Series of limited release beers. Finally, I asked Storm Brewing's owner/brewmaster James Walton his thoughts. James is a craft brewer in every sense and has created some of the most innovative and unique beers, like his Basil IPA and Insane Fruit Lambic beers, to name a few. James, as he is like to do, took a very complicated and complex issue and beautifully simplified things stating "just don't let the accountants be the brewers...any brewer can brew (craft) beer". So, as you can see, what makes a beer a craft beer is not as simple as it first appears. And it is apparent from the examples given above that it is not possible to label a beer by the brewery it comes from or judge whether a beer is going to be a craft beer or not based on the size of brewery it comes from. All in all, I think, that you have to be the judge of what beers you like and what beers you don't and be daring to try different styles and types of beers to find what it is that pleases you, whether that beer comes from a mass-producing brewery or your neighbour's basement. I'd like to hear others opinions on this subject. Please feel free to comment here on on my Facebook page VanEast BeerBlog..
By confessing my sin, I run the risk of alienating those friends of mine who consider themselves connoisseurs of craft beer and of trashing my reputation, such as it is, for having a discerning palate for quality brew. For some, I am committing the biggest sin that can be committed in the craft beer world. What is this terrible secret that I must confess, you ask? I regularly stock mainstream, mass-produced Canadian lager in my fridge! And I do so freely and willingly. My wife, who grew up in Mexico, loves the taste of Kokanee beer and prefers it over most other beers readily available in Vancouver. As a result, each time I go to my specialty beer and wine store to replenish supplies and stock up on local and imported craft beers, I am obliged to buy a six-pack of Kokanee to keep my beloved happy. No matter what rare or highly-rated craft beer I plunk down next to the till, all eyes focus on those six blue tins of shame. Imagine the sideways glances, grunts of disapproval and looks of sheer disgust I must endure. But why must it be this way? I have never understood why I should care about what the person next to me at the bar is drinking, unless, of course, they are drunk, angry and ordering a tequila slammer while giving me the evil eye. But, apparently, to be accepted into the craft beer scene, you must shun those who prefer to order mainstream, mass-produced beers and avoid bars and taphouses that serve them even if they do serve craft beer as well. This has never made sense to me. If the person who bellies up to the bar next to me orders a Molson Canadian, this should , in no way, impact my enjoyment of my tasty Red Racer IPA. As a dedicated meatetarian, I wouldn't avoid a restaurant that serves a great steak just because they also serve vegetarian dishes. I don't shun or ridicule my friends who sit at the same table as I because they are munching on their salads as I chow down on my chicken wings. Historically, at least here in Vancouver, establishments serving beer, especially on tap, have divided themselves along these line; serve mainstream beers, whether they be imported or domestic, or serve specialty, craft beers. This helped polarize the opinions of the two types of beer drinkers with the mainstream beer lovers seeing craft beer folk as "beer geeks" and "snobs" while the craft beer drinkers looked upon their counterparts as "lager louts" "boring" and "ignorant". Until fifteen years ago, it was almost impossible to find any craft beers on tap in this city, with a few exceptions. Trailblazers in the Vancouver beer scene, such as Granville Island Brewing, who I now have a problem considering a micobrewery, but who were definitely leading the charge against the mainstream breweries who had a stranglehold on the Vancouver market back in the 1980's, Shaftebury, long ago bought by Sleeman and turned into an mainstream brewery, Storm Brewing and Russell Brothers Brewing (now Russell Brewing Co), did managed to grab a few taps here and there next to the established big breweries. There were also the original brew pubs, such as Yaletown Brewery and Steamworks but you could not order anything but their own, original beers. But a new trend is developing here in Vancouver, with many establishments offering both craft beers and mainstream beers. You still have your serious beer establishments, like Commercial Drive's St Augustine's, with 40 taps and numerous bottled specialty craft beers on offer and Alexander Street's Alibi Room , with their awesome collection of more than 25 taps and rotating cask-conditioned beers. These are establishments that take their beer appreciation to another level and often offer rare brews, both local and international and where you will never find a mainstream beer. Now though, due to the growing popularity of such local craft breweries as R&B, Central City, Howe Sound and Russell, who have stepped up their marketing/distribution and gone after taps in all types of licensed establishments, as well as bottled their creations to be sold in government and private liquor store, it is possible to find craft beer taps co-existing with mainstream beer taps and what this has done is brought the two worlds of beer drinkers together. 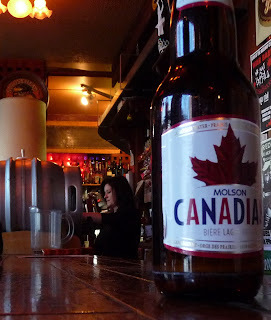 Establishments such as Darby's Pub, in Kitsilano, long thought of as a "mainstream beer" pub, have branched out and are offering some excellent and interesting craft beers on tap next to their regular Canadian lager taps. This is just one example of many I am finding around the city, as restaurant and bar owners are realizing that both types of beer drinkers can co-exist and that both are willing to part with their hard-earned dollars to sip on their favourite brews. The by-product of this "blending" of the beer worlds is that people like myself can take their Kokanee-loving wives and friends to places where we can enjoy our specialty beers while they can order the beer of their choice. It also gives those of us who love the more adventurous brews a chance to expose our friends and family, with more pedestrian beers tastes, to local and imported craft beers in a surroundings that are not intimidating for them! By introducing them to say a finely crafted lager from Central City, or Storm pilsner, for example, they may be more likely to try other craft beers. I know my wife has developed quite a taste for stouts and porters, but this took a lot of patience and encouragement on my part. Just the other night, this lover of Kokanee was sipping on Swan's Double Shot Expresso Porter and she often orders Crannog's Back Hand of God stout!! By exposing mainstream beer lovers and encouraging them to branch out and try different craft beers we have a better chance of converting them to the craft beer world than by ridiculing and snubbing them. And, if, in the end, they chose to remain Molson or Kokanee lovers, so be it. For me, it gives me great satisfaction to introduce my wife to something I love and see her enjoy it as well, be that a style of music, type of food or craft beer. And thanks to the many licensed establishments in Vancouver that are now offering craft and mainstream brews, I have more of a chance to expose my wife to my favourite beers without denying her what she loves. And if things go according to plan, there may come a day when I don't have to be ashamed when friends come over because there will no longer be those six tins of blue shame in my refrigerator! !